Pretend to speak for poor Africans, lie about true causes of disease. That’s how you get the news media to love a lethal pesticide. News is not propaganda, but the success of propaganda depends on reaching target audiences through the news media. A debate has raged in newspapers around the world for over a decade about the ban on DDT. This pesticide, whose scientific name is dichlorodiphenyltrichloroethane, was widely used with great success during and after the Second World War to control insects that spread typhus and malaria. After the war, manufacturers made it available for use by farmers to protect crops like cotton. Production and profits soared. In just one year, 1959, 80 million pounds of the chemical were applied worldwide. But even as DDT was coming into common use, scientists were expressing concern about possible environmental hazards. Rachel Carson’s 1962 book, Silent Spring, raised the alarm that DDT and other pesticides were poisoning wildlife and endangering human health. She reported that thinning bird shells and declining bird populations were linked to DDT and cautioned that bald eagles eating fish laden with DDT were threatened with extinction. The chemical was subsequently banned in the United States and Canada in the early ’70s and in most developed countries by the ’80s. Later research found that DDT is a persistent organic pollutant that migrates from warm to cold climates after its release into the environment, eventually poisoning the traditional foods of Arctic peoples. It is a recognized carcinogen linked to breast and liver cancer and is suspected of disturbing embryonic development and reproduction in humans. In 2001, 92 countries and the European Community signed the United Nations Stockholm Convention, banning the production and use of 11 persistent organic pollutants, but allowing exemptions for DDT. The ban, which came into force in 2004, continues to be controversial. The reason for the controversy is the resurgence of malaria. DDT was dramatically effective in reducing malaria in many Third World countries. When the flow of the pesticide to these countries was reduced to a trickle in the ’70s, the incidence of malaria soared. The World Health Organization estimates that in 2006, 247 million people had the disease, causing nearly a million deaths, mostly of African children under five years of age. Should DDT be completely banned, as environmental groups like Greenpeace wish to see as its ultimate fate? Or should it be brought back into common use, at least in the Third World, as the Congress of Racial Equality (CORE) and Africa Fighting Malaria (AFM) argue? Isn’t it ridiculous, those two groups ask, to worry about declining bird populations when millions of children are dying? And when framed as a choice between birds and children, the answer should be obvious. But is this the right question for the public to be asking? Might there be more to the debate? And how could someone get the facts on the controversy? Most people rely on the news media to keep them informed. To make responsible decisions about the ultimate fate of DDT, Canadians need accurate information and balanced viewpoints on the subject, but the story Canadians received about DDT was neither accurate nor balanced. In the years since the Stockholm Treaty was signed, readers of Canadian newspapers have not had an opportunity for Greenpeace’s position on DDT to be explained to them by Greenpeace itself. The only information they received about this environmental organization’s position on DDT was conveyed by the organization’s foes. National Post readers learned, for instance, courtesy of then columnist Elizabeth Nickson, that “groups like Greenpeace… serve their own ideological agenda, and want to keep the Third World permanently mired in poverty, disease and death. So far it has succeeded,” she commented. Greenpeace, with 100,000 members in Canada, actually supports limited DDT use to combat malaria, but readers of Canadian newspapers may have missed this information. CORE and Africa Fighting Malaria, on the other hand, have no members in Canada, yet were given space in the Canadian press to speak for themselves and to be represented in a positive light by their allies. Early in 2004, the year the Stockholm Convention was to come into force, a National Post column introduced Paul Driessen, author of the book Eco-Imperialism: Green Power, Black Death, who railed at “wealthy, powerful First World environmental pressure groups” who “reveal an unbelievably callous, paternalistic, eco-centric attitude.” Among their crimes, Driessen charged, these eco-imperialists pressured African governments to abandon DDT because it jeopardizes birds. Birds over blacks: is that what environmentalists want? The Post repeated the eco-imperialism charge later in the year, when Driessen visited Winnipeg on a book tour. “Environmental activists who’ve never known starvation, never had to live without electricity, never had to watch their children die of malaria or dysentery, must no longer be allowed to put their anxieties, priorities and agendas ahead of the desperate pleas, the most basic needs, of destitute people who wish only to improve their lives and save their children’s lives.” It was powerful rhetoric, with no reply from environmental activists in the Post. The problem with the coverage of the DDT issue and with the eco-imperialism charge is that they are based on falsehoods that the media did not investigate. Former CBC-TV National News anchor Knowlton Nash once said that “…our job in the media… is to… provide a searchlight probing for truth through the confusing, complicated, cascading avalanche of fact and fiction.” In this case, the media let their audiences down; fiction prevailed over fact. Despite what the pro-DDT organizations alleged, DDT was not banned for use in mosquito control and could continue to be used in 25 countries in malarial regions. In these countries, limited amounts of DDT can be sprayed on the inside walls of houses to combat malaria-carrying mosquitoes. “The environmental community is collaborating with the World Health Organization to ensure that the phase-out of the remaining uses of DDT does not undermine the battle against malaria and the well-being of people living in malarial zones,” the United Nations Environmental Programme reported when the treaty came into force. Even Canada’s northern indigenous people, who were being poisoned by DDT, supported its continued use. According to Sheila Watt-Cloutier, president of the Inuit Circumpolar Conference Canada, “Canada’s indigenous people would refuse to be a party to an agreement that threatened the health of others,” she wrote in a letter to The Globe and Mail during treaty negotiations, “notwithstanding the threat of POPs [persistent organic pollutants] to their own health.” Spraying DDT onto the inside walls of houses is just one part of the battle. Other elements include hanging insecticide-treated bed nets to protect sleeping children, tracking outbreaks and treating people infected with the disease. As well, researchers are developing safe, affordable and locally effective alternatives to DDT. This information was largely omitted in media coverage of the issue, which was framed starkly as DDT or death. Both CORE and Africa Fighting Malaria claim the incidence of malaria skyrocketed after DDT was banned in the United States and the developed world. This is not true either. Key to the resurgence of malaria was that mosquitoes developed resistance to DDT because of its widespread use in agriculture. Ironically, rather than improving life, using DDT actually resulted in the resurgence of malaria. As early as the mid-’50s, researchers noted that DDT was losing its effectiveness. The rapid evolution of DDT-resistant mosquitoes was widely reported by such establishment media as The Economist, the Washington Post, and The Globe and Mail. Immunity to DDT was said to be the main cause of malaria’s comeback, yet this information seems to have fallen into a rabbit hole as far as current media coverage of the issue is concerned. How did the media get it so wrong? The answer lies, perhaps, in a document that came to light as a result of the 1998 Master Settlement Agreement between U.S. state attorneys general and the tobacco industry. Among the 40 million pages of industry documents posted on the Internet were two letters from Africa Fighting Malaria’s Roger Bate to Philip Morris executives requesting funding for an anti-malaria campaign and a six-page document outlining AFM’s strategy of falsehood and misrepresentation. Africa Fighting Malaria was formed during the negotiations that led to the Stockholm Convention. The name is misleading. The organization is based in Washington, D.C., not Africa. And the board of directors comprises not Africans, but Americans. Its staff and directors have links, not to African health and social movement organizations, but to Western libertarian and neoconservative think-tanks like the American Enterprise Institute, the Institute for Economic Analysis, Tech Central Station, the Liberty Institute and the Atlas Economic Research Foundation. The anti-malaria campaign was intended to beat back environmental regulation. Using the plight of poor people was the vehicle to achieve this goal. Titled “International public health strategy,” the document outlined the steps necessary to defeat the environmental lobby. Roger Bate introduced himself by explaining that “my work… has focused on highlighting the dangers for governments of concentrating on minuscule risks to health, primarily because of pressure from loud interest groups.” But eliminating these minuscule risks, Bate argued, “reduce[s] wealth and freedom…” The environmental movement “has been successful in most of its campaigns,” Bate offered, “as it has been ‘politically correct.” Environmentalists are winning because they can claim to speak for the fish, birds, bears and whales, and in the case of Africa, the elephants. Bate recommended picking “issues on which we can divide our opponents and win. Make our case on our terms, not on the terms of our opponents — malaria prevention is a good example.” Was a malaria-prevention campaign being offered to the funders because malaria was such a scourge it should be eliminated? Or was it, perhaps, being proposed for strategic reasons, such as defeating the “loud interest groups”? Bate recommended a recipe for success: fashion “the correct blend of political correctness” (having “oppressed blacks” as your membership) and arguments (being able to claim that “eco-imperialism was undermining their future and their right to self-determination”). According to Bate, to help disseminate the AFM message, sympathetic journalists should be recruited. “Target messages to show… journalists how to make political capital out of supporting our ideas,” Bate recommended. “How do we recruit… journalists… to advocate the position?” he asked. One approach is the “contrast of western indifference to death in LDCs [less-developed countries]… and preoccupation with virtual risks in [the] west.” The message Bate proposes to sell is that environmentalists fret about minimal risks at home while they ignore the deaths of millions overseas. Bate denied that AFM received money from Philip Morris in response to his funding request. He also denied receiving any money from pharmaceutical or chemical companies. Nonetheless, Aaron Swartz of the national watch group Fairness and Accuracy in Reporting (FAIR) notes, “AFM has very much followed the plan Bate laid out in his original funding pitch to corporations.” And CORE followed a similar route. 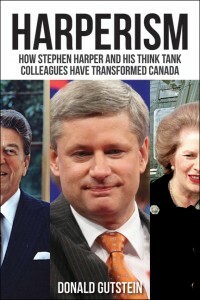 In her Globe column on eco-imperialism, Margaret Wente assured readers that Roger Innis was “neither a shill for industry nor a raging neo-con,” but the spokesman for the Congress of Racial Equality, which, she explained, was “a leading African-American advocacy group.” In fact, Innis was a shill for industry and a raging neocon. And the Congress of Racial Equality had not been a leading African-American advocacy group since the 1960s. At that time CORE had been at the forefront of the struggle for equal rights, as a pioneer in the use of non-violent direct action to challenge segregation. CORE collapsed in the ’70s and the remnant was taken over by Roy Innis (Niger Innis’s father), who moved the organization to the Republican right. In recent years CORE used its African-American facade to work with conservative groups to attack organizations like Greenpeace and undermine environmental regulation. It’s fair to say that CORE was for sale to anyone with a need for visible black cheerleaders in its campaign. CORE also engaged in campaigns supporting genetically engineered foods. Innis could be seen leading a pro–free market, anti-Kyoto Accord counter-demonstration outside the ExxonMobil annual shareholders’ meeting in Dallas, Texas, after CORE received $40,000 from the oil giant. In 2003, Innis formed a partnership with one of the most aggressive anti-environmental organizations to launch a campaign to popularize the term “eco-imperialism.” The Center for the Defense of Free Enterprise (CDFE) had earlier claimed credit for coining the term “eco-terrorism” and creating the so-called wise-use movement. Its funding comes from conservative foundations, forest-products companies, ExxonMobil and DuPont, a leading producer of DDT. Leaning heavily on the use of symbolic days for their propaganda value, the two groups formed the Economic Human Rights Project on Martin Luther King Day, 2004, and kicked off their campaign on Earth Day with the publication of Eco-Imperialism: Green Power, Black Death by Paul Driessen, who is a fellow at the CDFE. Driessen is also a senior fellow at the Committee for a Constructive Tomorrow, a libertarian think-tank whose researchers and advisers are prominent industry-backed global warming deniers. (Roger Bate is on this organization’s board of advisers.) The committee received $540,000 from ExxonMobil between 1998 and 2003. The strategy for the eco-imperialism campaign is to exploit the plight of poverty-stricken peoples in order to undermine environmental regulation and further the interests of its sponsors in the energy, chemical and forestry industries. These anti-environmental, pro-free market organizations have successfully used the media to persuade the public and decision makers that DDT should not be completely banned so it can be used to conquer malaria. They set up one special-purpose organization — Africa Fighting Malaria — and utilized an existing one — Congress of Racial Equality — to put a poor, black face on their efforts. But behind the facade was a network of free market, libertarian think-tanks and their corporate sponsors pulling the strings. The strategy was effective. “Groups are latching onto the emotional impact of the malaria story, which is truly a human tragedy, to discredit environmentalists,” admits John Balbus, chief health scientist with the American-based organization Environmental Defense. Malaria was just the opening salvo. Already on the agenda are oil drilling in sensitive areas (the poor need as much cheap oil as possible), genetically modified foods (they will feed the hungry) and damming rivers for electricity production (the poor should not have to live without electricity). But parading the plight of the poor in front of the world media was not accompanied by any plans to improve the poor’s social and economic conditions.